PlusUrbia’s Juan Mullerat presented “Complete Districts – a New Placemaking Practice” to the South Florida Regional Transportation Authority’s Planning Technical Advisory Committee. 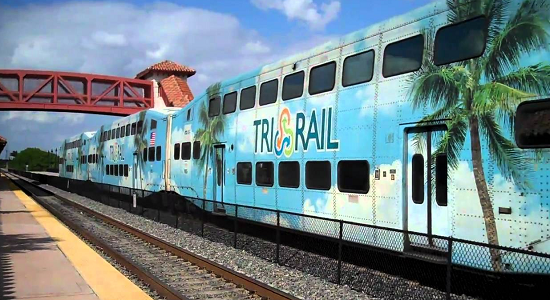 SFRTA is the agency that operates Tri-Rail. The concept focuses on a network of clean, safe, but unique streets that together create a Complete District. Simply put, cities are a balance between public and private land, entities, enterprises and services. This balance is symbiotic where all elements are part of a system and they depend on each other to function. It is only when all are well-tuned and calibrated that they make great places. The concept of Complete Districts creates this balanced equation by taking a holistic approach that couples the public with the private realms. It was conceived and formulated by PlusUrbia Design’s team while working through workshops and design exercises for a number of Transit Oriented Developments (TOD) and award-winning District Revitalization projects that created compact, mixed-use, vibrant districts.